Gazprom Space Systems and Sonema continue their successful cooperation providing telecommunication solutions to Oil & Gas and banking industries in Africa. The successful partnership between Gazprom Space Systems and Sonema originated more than seven years ago when Sonema leased Yamal-202 capacity to connect their international West European Gateways located in the South of France and near Paris with their clients from East European countries. Today apart from Yamal-202 capacity, Sonema benefits from Yamal-402 Africa coverage bringing advanced communications to fast-growing, emerging markets. Based on Yamal-402 capacity Sonema provides telecommunication solutions for banking and Oil & Gas companies in Africa. 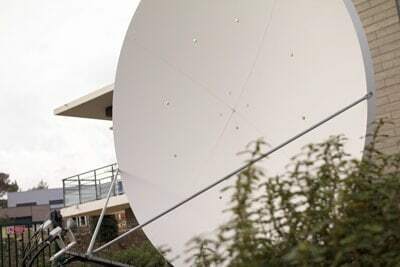 Using iDirect technology and 3.8m hub antenna pointed to Yamal-402, Sonema delivers reliable and robust connection between companies’ head offices and regional offices located in Democratic Republic of Congo (DRC), Niger and Burkina Faso. “We are satisfied with the service and we forecast future extensions”, – says Stefano Poggi, Head of Sales, Sonema. And indeed the changing dynamics of the African communications market could mean an increased demand for satellite in the future. Dmitriy Sevastiyanov, Director General of Gazprom Space Systems says: “We appreciate that such respected company as Sonema with its great experience of state-of-the-art satellite services provision to diverse regions of the world is our client. We expect Sonema will extend use of Yamal satellites for implementation of its new projects”. Sonema is a Monaco based telecom services integrator and operator since 1985, the global leader for companies’ VSAT satellite networks. Owning and operating two teleports in France (Lognes and Fréjus) Sonema provides communication solutions for private and public organizations in almost 50 countries, particularly in the following sectors: banking, Oil & Gas, mining and maritime. Gazprom Space Systems is an international operator providing satellites capacity in a considerable part of the Eastern hemisphere. The company has created and operates Yamal Satellite Communications System consisting of four satellites (Yamal-202, Yamal-300K, Yamal-401 and Yamal-402) and advanced ground telecommunications infrastructure (three teleports, digital satellite TV center, a wide network of ground stations in the Russian regions).